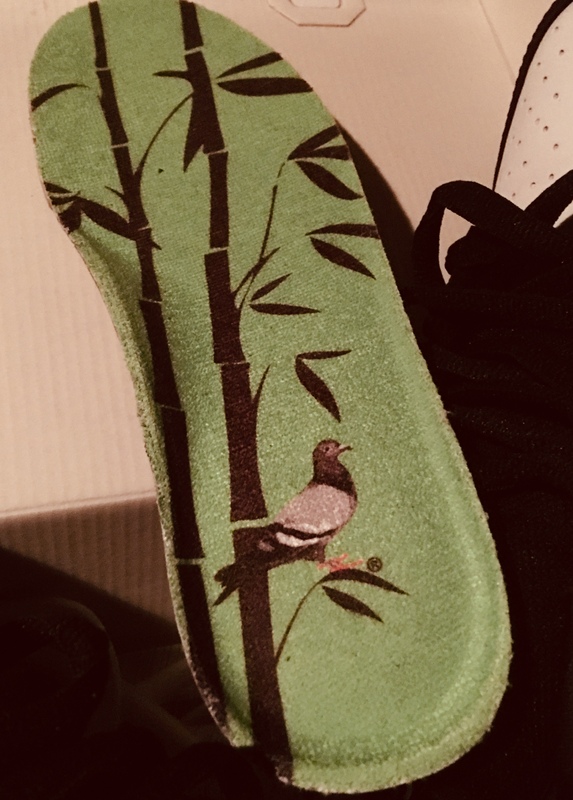 In collaboration with Jeff Staple, the Panda Pigeon colorway is a previously rejected sample. 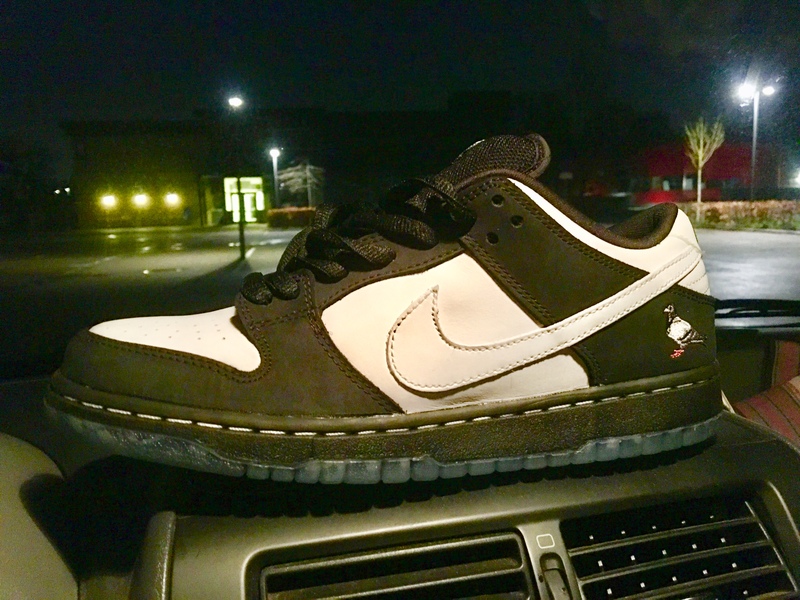 This is the third official Pigeon release, and the fourth time the Pigeon has been featured on an SB Dunk. The white and black silhouette features a green bamboo graphic on the sockliner, hits of reflectivity and graphics on the outsole paying tribute to the newspaper headlines after the infamous first SB Pigeon launch. The ‘SAMPLE’ stamp on the collar typically found on early versions has been altered to read ‘STAPLE’. 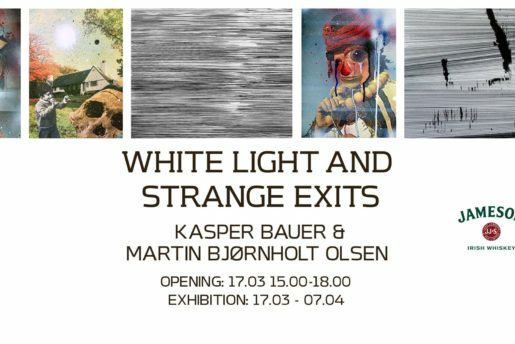 Creative “accidents” often yield the best surprises, and sometimes, they even result in coveted sneakers. Earlier this year, when designer Jeff Staple was moving offices, he went on Instagram and posted an early sample of the “Black Pigeon” Nike SB Dunks. The shoe had “test” colors — black, white, and green — which he jokingly compared to a “Panda.” Like wildfire, sneakerheads around the world were begging for the shoe to become a reality. Staple changed his mind once he remembered going on the global launch tour for the black “Pigeon” SB Dunk. At the time, he was excited to see the growing sneaker community in China and knew that he wanted to do another tour, in the future, that would start in his motherland—China, and end in his home—New York City. 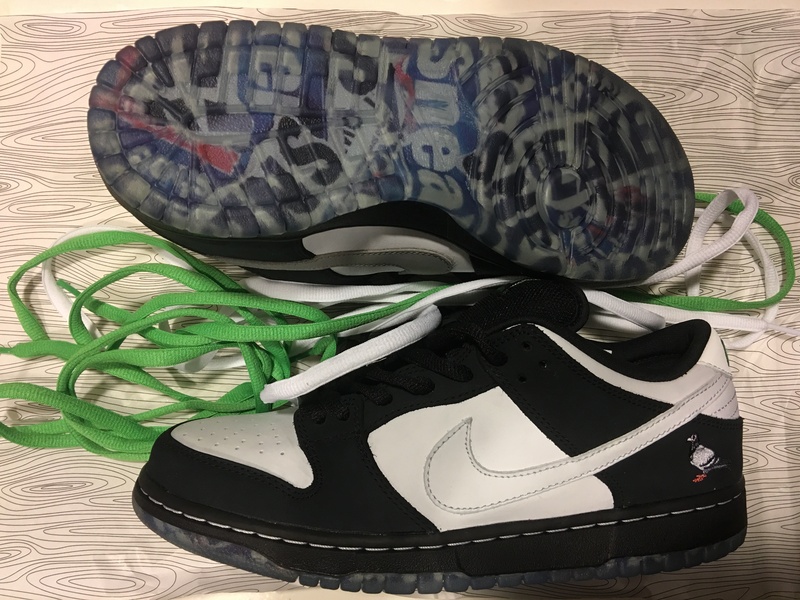 With the panda’s connection to China, and the pigeon’s connection to NYC, everything about a “Panda” SB Dunk seemed to click. 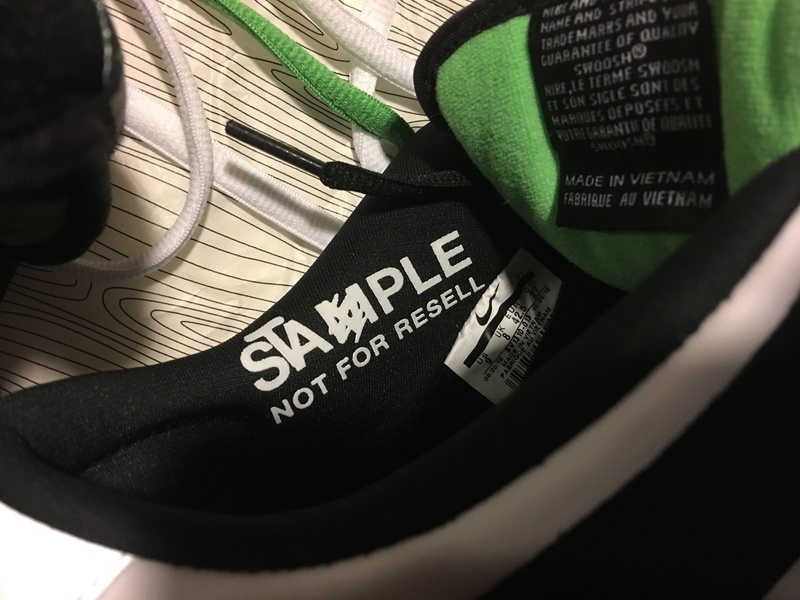 Additional details include a green insole with a bamboo graphic, and the interior’s “SAMPLE” stamp typically found in early versions is altered to read “STAPLE / NOT FOR RESELL.” All shoes come in the classic pink box. There will also be “Panda” Staple x Nike SB apparel, with various colors exclusive to certain cities. In 1997, jeffstaple, who was then a student at Parsons School of Design, walked into a small shop in New York City and received his first order of 12 hand silkscreened t-shirts and Staple was officially open for business. In 2005, while building his burgeoning brand, Nike asked jeffstaple to design a special sneaker to repre- sent New York City. The iconic Staple Pigeon logo was conceived and branded on the heels of a limited (and now highly coveted) pair of The Dunk Lo Pro SB. The release was heavily covered by the press and exposed sneaker culture and Staple to the masses. @StaplePigeon is now a world-renowned symbol that reflects the gritty & neverending energy New Yorkers (and all urban dwellers) possess. It influences Staple’s extensive apparel range and collaborative products, distributed in the top retailers across the globe. Our founder jeffstaple is an established graphic & fashion designer, curator, branding expert, footwear aficionado, and all-around creative visionary. In addi- tion to Staple Pigeon, Jeff founded Staple Design, a creative consulting agency and a retail con- cept—Reed Space in 2002. 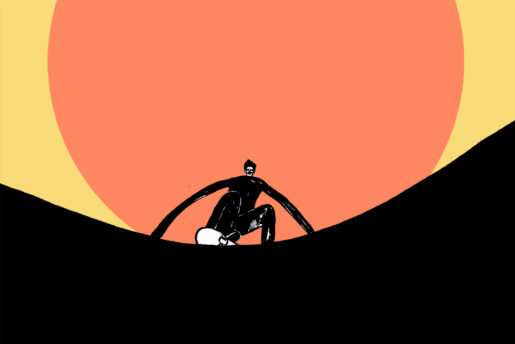 Inspired by street culture & design, Staple’s reach encompasses many different landscapes such as music, art, technology, and fashion.